A shoe salesman chops off his foot with an axe. An aesthetician has hers amputated by an outboard motor. At opposite sides of the same country, staring out at two different oceans, two people each lose something on the same day and are sent crashing together toward the heart of Canada. Inspired by the Salish Sea human foot discoveries, Receiver of Wreck is a quirky comedy about human waste and the potential of change. 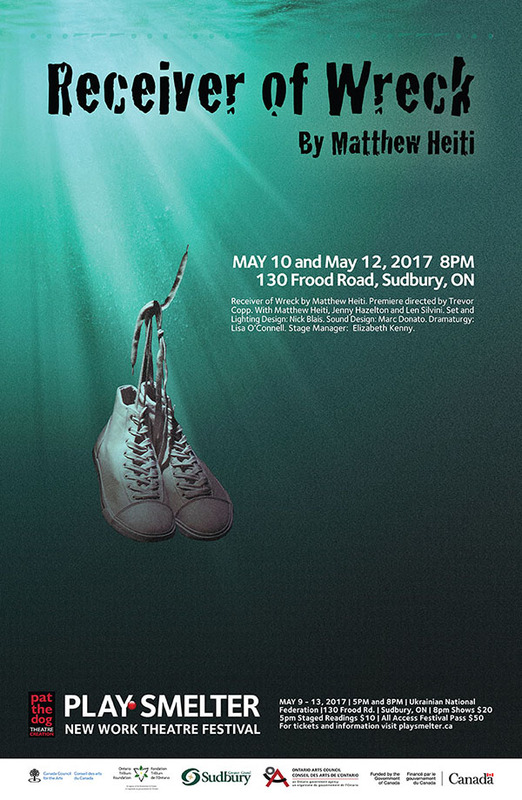 Born in a meteor crater, Matthew is a writer, teacher and theatre creator living and loving in North Ontario. He is a graduate of Ryerson University’s Acting program and has an MA in Creative Writing from the University of New Brunswick. His plays have been workshopped across Canada and produced at various festivals and theatres. Black Dog: 4 vs. the wrld, is published by Playwrights Canada Press. He is also a Genie-nominated screenwriter and his novel, The City Still Breathing, is published by Coach House Books. 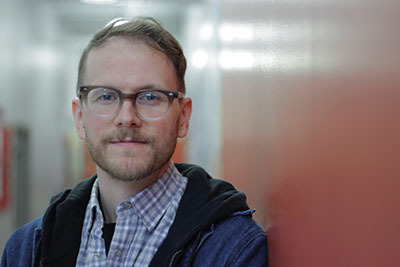 A proud advocate for developing voices in neglected landscapes, Matthew has served as Playwright-in-residence with the Sudbury Theatre Centre and Pat the Dog Theatre Creation. With Lisa O’Connell, he is the co-director of PlaySmelter, Northern Ontario’s first festival of new theatre creation. He explores new work in strange places at crestfallentheatre.com. In his spare time, he is usually working.